Click on the image to download it for your own use. 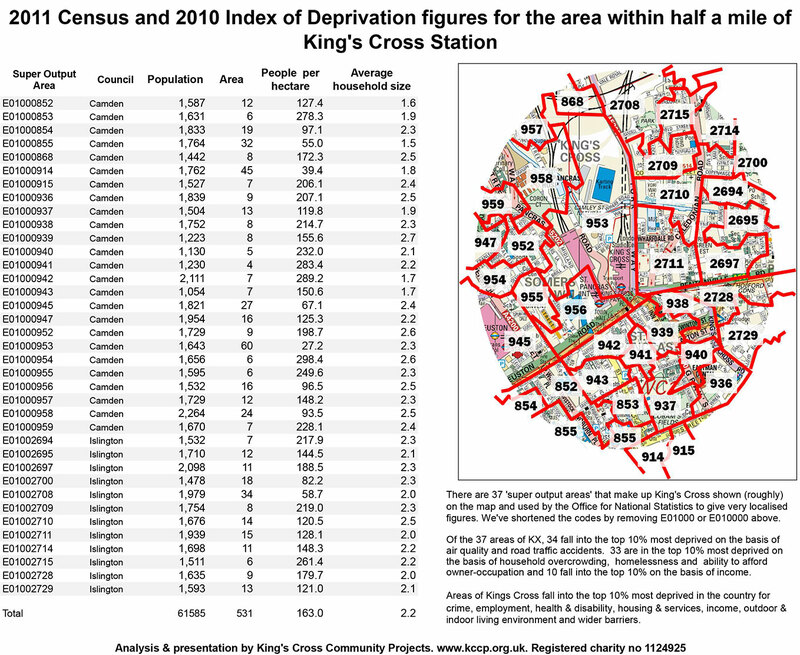 We’ll shortly upload a spreadsheet version so that you can easily edit the information for your area of King’s Cross. We also soon be producing a user friendly clickable map of the area with this data and the data from our Google map showing community groups and key organisations locally. Everything we produce is free for you to use in whatever way you choose, the only thing we ask is that you acknowledge us as having done the analysis. Thanks!